Here at Body and Soul Jewellery in Geelong we love the Christmas Festive Season as couples are often thinking about marriage and making a life long commitment to each other. The really special connection we make with our clients is when we sit with them (take the time to discuss their initial ideas) then we can offer our “custom jewellery” expertise. John, our Jeweller has over 35 years experience and extensive knowledge of all things jewellery, which allows him to offer expert ideas and information to design and handmake the perfect engagement ring. A unique piece that will be the central focus point for this special time. Our engagement rings are always designed with individuality in mind. Mostly diamonds are the first choice for this event and therefor the most important thing we teach couples is about diamond quality. 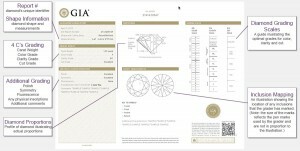 (Carat, Cut, Clarity and Colour) – The 4 C’s. It’s not just about the size but the overall quality and we are here to work through all of this information to educate and help our clients make the best choice. We have also designed and handcrafted many engagement rings from the wonderfully diverse coloured gemstones collections, (sapphire, ruby and so on) and also south sea pearls and pacific blue pearls. We are happy to recreate/remodel/reuse diamonds and gemstones from family jewellery/air looms, this definitely adds to the very special touch of a new engagement or wedding ring. Body and Soul Jewellery strive to create that perfect ring for each of our very individual clients. Nothing is too much trouble and no amount of visits to get it just perfect is a bother. We have also designed and handcrafted engagement rings and wedding rings from the wonderfully diverse coloured gemstones collections, (sapphire, ruby and so on) south sea pearls and pacific blue pearls.